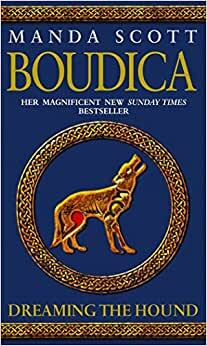 Start reading Boudica on your Kindle in under a minute. "Set in Iron-Age Britain, the third magnificent story in the life of the world s most famous warrior queen." In the third book of the Boudica quartet, the Romans increasingly oppress the Eceni and other tribes, which serves to explain Boudica's preparation for rebellion. The story opens with Breaca hunting down and killing Romans on her own. Meanwhile, Valerius/Bán lives - if not alone - in exile in Hibernia. As with the first two books, the stories of sister and brother run parallel. But as the end approaches, the two begin to merge. Valerius gradually deals with his past. Breaca flounders at first, a stranger even to her children. But once she decides to step forward and lead, she looks to the future. Interwoven throughout, is the development of previously lesser known characters - Cunomar (son of Breaca and Caradoc), Graine (daughter of Breaca and Caradoc), Cygfa (daughter of Caradoc), and Bellos (rescued slave now living with Valerius). While readers who enjoy character development may like this, others who want to read about the rebellion, which doesn't occur until the final book, may grow impatient. Some may also find the detail with which the author describes certain rites of passage as well as Roman abuse and oppression disturbing. There is more violence in this book than in the preceding stories. Even some of the Roman characters - certainly Corvus and Longinus - are likeable. While you might hate what they stand for, you will find it difficult to dislike them. Second, as with the previous book, Dreaming the Bull, this story opens with a recapping of earlier events. Moreover, it isn't just a narrative summary. It fits well into the story. Third, I like that each book ends with its own statement about the actual history. You learn more with each reading. The author is candid about what is known and how solid the evidence is. I'm definitely looking forward to reading the final book, Dreaming the Serpent Spear. A qualified recommendation for those who enjoy epic fiction and character development, and who do not cringe at graphic descriptions of violence. If you enjoy an element of mysticism, all the better. 4.0 out of 5 starsBuilding towards a shocking ending. If the first two books of Manda Scott's quartet about Celtic Britain's stand against the Romans, Dreaming the Eagle and Dreaming the Bull had optimism, the third book, Dreaming the Hound dispels this. I've always felt that if an author can tackle a novel that doesn't necessarily have a happy ending, it proves how much talent can come through. The novel opens with Breaca, the Boudica -- the Bringer of Victories -- hunting down Romans in the lands around Mona, the island where the dreamers train the warriors and children of the Tribes. In the cold dark times of the year, she's killing any Roman unlucky enough to cross her path, but when news arrives that her home tribe of the Eceni is under new threat from the Romans, she has to decide if she can return to a quieter life. In Hibernia -- modern day Ireland -- her lost brother, Ban -- better known as Valerius -- is coping with his own demons. He's betrayed everyone and everything that he grew up with, and went as far as to become one of the most feared cavalry officers in the Roman legions. But his own lost heritage is calling to him in dreams where a hound figures prominently, and he is steadily being torn in two. Rebellion among the Eceni is growing, and Breaca and her family are smack in the middle of it. She's forging iron weapons in defiance of Roman law, and even with the respect of a new governor it still isn't going to be enough -- especially when his replacement arrives. Suetonius Paulinus is determined to crush the native Britons any way that he can, and it becomes very aware to the reader that there isn't going to be much hope for survival for anyone. Manda Scott has crafted a startling, amazing world here. For the Britons, the world is just as much a place of dreaming, where spirit animals and the ancestors send warnings and visions, to be interpreted by the dreamers. Courage and honour are everything, especially for Breaca, who is seeking to protect those that she loves. It's in showing these relationships that the story really works. Breaca's love for her children -- Cygfa, Cunomar and especially her beloved daughter Graine -- is where the author rips at the emotions of her readers. At times this novel became very hard to read, particularly towards the end. In fact, Scott doesn't spare anyone in this story. Everyone goes through personal hell, and while it doesn't make for enjoyable reading, I certainly wanted to know what happened next. Nor are everyone's hands clean in this one. Both Romans and the Tribes are capable of atrocities, and while Scott is most clearly on the side of Breaca and her people, she is able to show friendship and sympathy on both sides. In this one, it is Ban/Valerius who goes through the most turmoil, along with Breaca's son, Cunomar, who struggles for profiency as a warrior and acceptance from his own people. But the biggest surprise for me was Graine, a young child throughout the novel, who may be the greatest dreamer that the Tribes have ever known. While the prescient, overly wise, child is more or less a literary feature, Scott manages to make her interesting and likeable, and not the obnoxious brat that I wish someone would give a good smack to. While it's not a lighthearted read, it certainly is a good one. It is a very good idea to read the previous two novels in the series before taking this one on, as there is a considerable amount of information there that helps to explain what has gone on before. Despite all of this, Dreaming the Hound is a cracking good book. It has plenty of passion and emotion, and a culture that is teetering on the edge of annihilation. A warning however, the last fifty pages of the book are extremely violent and distressing to read, and certainly not for the faint of heart.